Cancellation fees: the coupon does not apply to any cancellation fees. The campaign can end or change without notice. Each account can use a coupon only once. 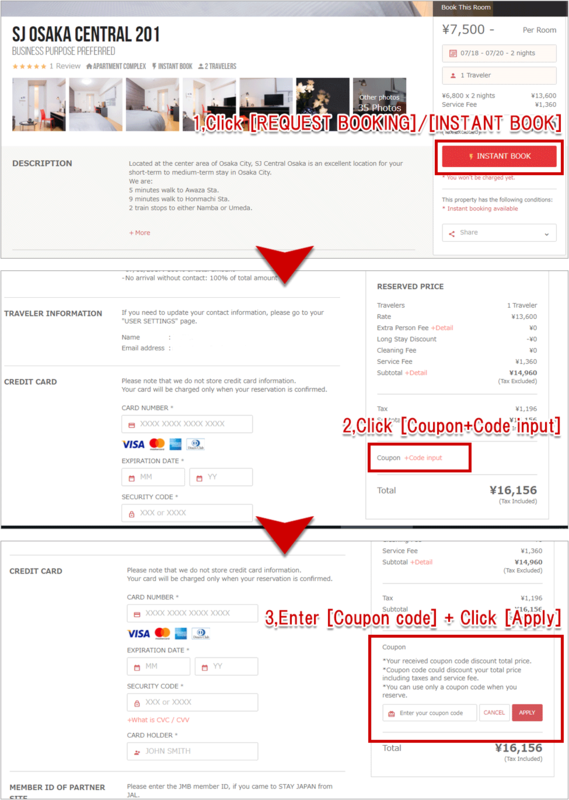 If a reservation is cancelled, the coupon cannot be reused. You must register as a STAY JAPAN user to redeem the coupon. The coupon cannot be used after a booking has been completed. Please double-check whether the coupon is applicable before making a reservation.